Paris (AFP) - Ukraine's ambassador to France has voiced his "shock" at the new 2016 edition of a French atlas which features a map showing "Crimea as being part of Russian territory." Russia seized the Crimean peninsula from Ukraine in March 2014 after deploying thousands of special forces troops there following the ouster of Kremlin-backed leader Viktor Yanukovych in Kiev. 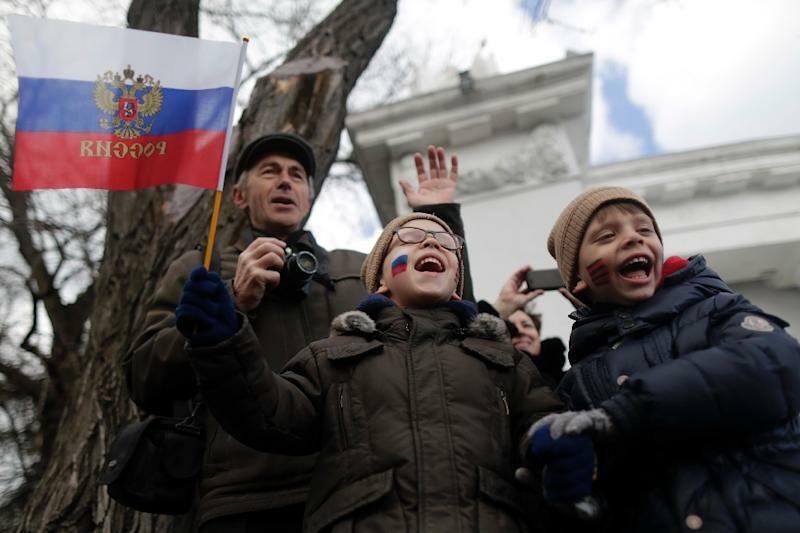 Crimean residents, mostly Russian speakers, voted to join Russia in a referendum that Kiev and the West refused to recognise, and Russia's parliament subsequently ratified a treaty incorporating Crimea into Russia. "Despite an asterisk stipulating that Crimea was 'attached' (not even 'annexed') by Russia, this representation by (publisher) Larousse gives legitimacy to Russia's flagrant violation of international law," Oleh Shamshur writes in an October 10 letter to the publishing house. "This type of false information works in the favour of Russian propaganda, which is trying to exonerate Russia's aggression against Ukraine," he adds in the letter, posted on the embassy's Facebook page. Larousse, meanwhile, told AFP it did "not wish to be drawn into this controversy."